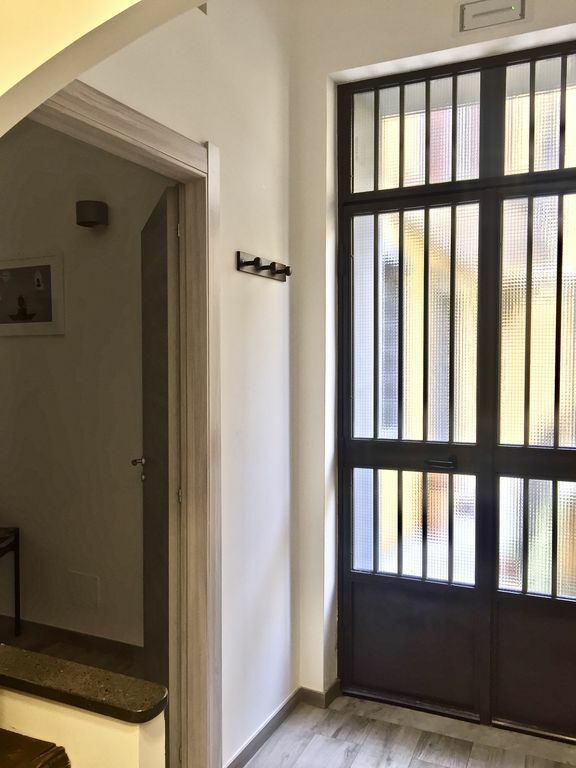 The 60 sqm apartment is located in the heart of Naples, in Via San Gregorio Armeno, inside one of the oldest buildings in the historic center, the "Palazzo Mormando" from which it takes its name. The apartment is located on the third floor of the building and consists of a separate entrance, a kitchen, living room, bathroom and two bedrooms. Recently renovated and equipped with all comforts (TV, air conditioning, heating, free WI-FI connection). My stay was short and flight complications made a late arrival even later. It helped so much to have Francesca make this all easier. The apartment is super cute and located in a great spot for exploring on foot. Will recommend and would stay again. My friend and I had the lucky opportunity to stay in this apartment for 10 days this March. Wow, were we lucky! First of all, Francesca was a delightfully helpful and accessible owner, whether it be to suggest local activities and sites, the use of transportation, info about the apartment or best yet, keeping us supplied with coffee. Every question we had was answered within a short time, even before we arrived in Italy. One can imagine how delighted we were to be located in the heart of the historical district. We were able to walk to most places we wanted to see, including the train station. Our accommodations were comfortable, clean and functional. Start-up breakfast items were available so we didn’t have to go right out upon arrival. We also loved looking out over our balcony at daily, vibrant life. Lovely. We would choose these accommodations again, should we return. Beautiful apartment in the historic centre of Napoli. Well maintained and comfortable apartment with all anyone could need and in a perfect setting. Francesca was extremely welcoming and helpful. Would definitely recommend and we would stay there again if we were visiting Naples. Thank you very much Stuart! Francesca was great from the very start. On top of communication via the website and extremely helpful even before we got there. On arrival she continued how helpful she was with some extra touches like the coffee machine and drinks stocked in the fridge. This made life easier for us and was much appreciated. Francesca offered more help on the front of taxi's and personal recommendations. The apartment was in a secure building and in a great location for everywhere we needed to get to. I'd recommend this place to others who are looking for a good central location, with a clean and comfortable setting. Great apartment and the manager is the best! Francesca is very attentive, available for any questions and is very friendly and helpful. Couldn't ask for a better rental experience. The apartment had everything we needed, beds were comfortable, including the sleeper sofa. If we ever go back to Napoli this is definitely the place we will return to. Very safe location, easy to get to other places from here, we loved it. 5 Star service and Apartment! Thank you very much Jim and Wendy! A stylish, modern apartment, in a beautiful old building and a great location. Right in the heart of the old city, very lively and lots to do especially at night. Francesca is wonderful too, so helpful and friendly, made the whole experience very easy. Provides coffee, tea. cereal and other bits for breakfast and even fills the fridge with a selection of drinks, like a mini bar but very reasonable, virtually no shopping needed. Very worthy of 5 stars. Thank you very much Alyson!